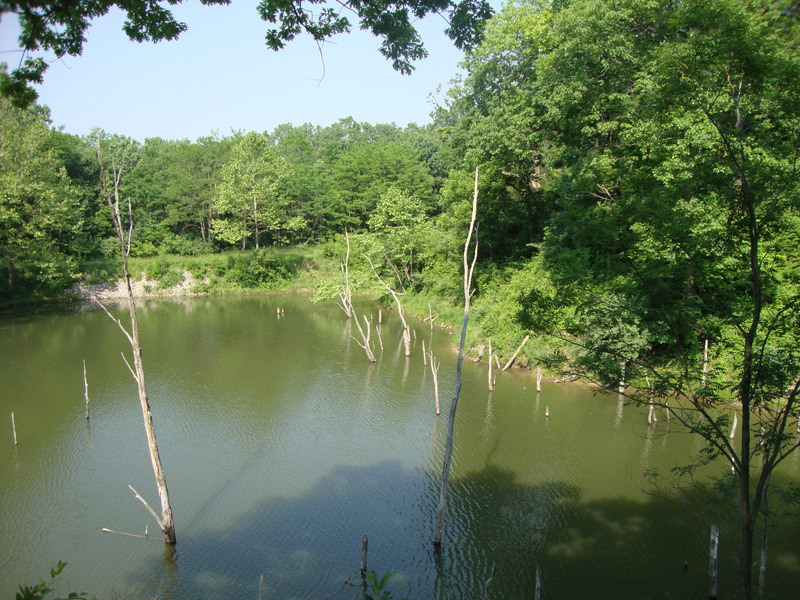 Kickapoo State Park in eastern Illinois was a coal strip mine. Now it’s a place where people can go to hike, camp, scuba, canoe, ride horses, fish and mountain bike. 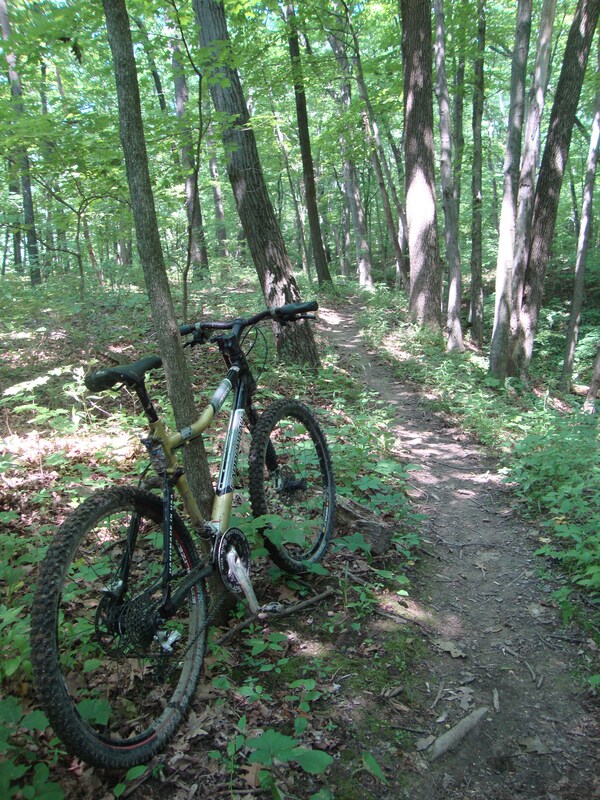 I get over there about five times a year to ride its tight, twisting eleven miles of singletrack. I’ve only ever cleaned the entire loop once, the first super steep climb always being a nemesis. Sometimes the three-short-gut-punch climbs towards the back end knock me off kilter as well. 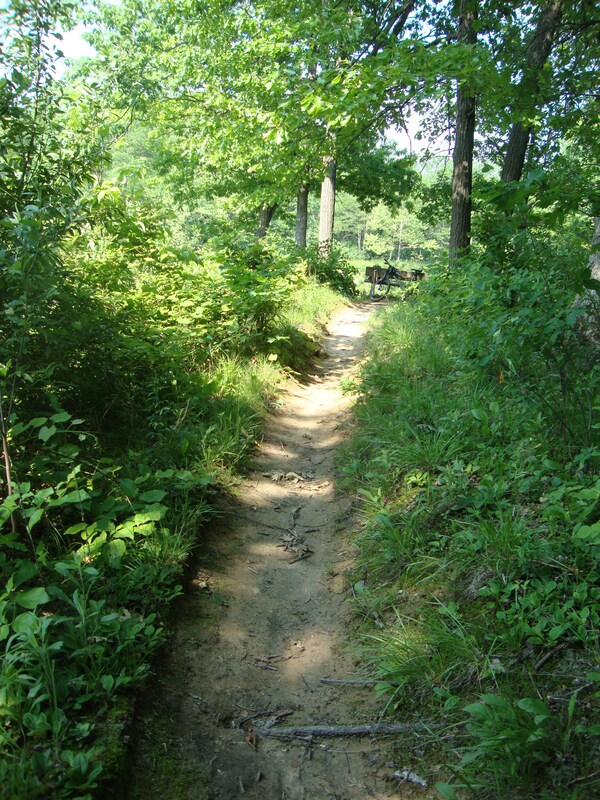 The big steep climb on the other side of the ravine at the end, on the opposite side of the big steep climb at the beginning, can be ridden if you hunker down and shift forward off the saddle and pedal in a standing crouch. Only an hour drive from Lafayette, ‘poo is great for post-work rides and weekend morning jaunts. Fall colors are really nice, especially around the quarries. Though tight, you can hammer the entire loop, honing your brake v. pump skills in some sections. A woodpecker batters its head into a tree. The temperature is climbing fast. Humidity is way up. I am hot, a little muddied up, itchy from the tall grass in the meadow, and have decided to not go for the third lap. A hawk flies ahead, perching on a different limb.